EDIT: My BFF's son is severely mentally disabled and attends an awesome school for special needs where he has a wonderful teacher. That teacher is currently in a contest to win a flip video camera to use in class and the one with highest amount of votes wins. If you have a second, please please please visit THIS LINK and click the name "Shannon Moree" to vote for Zach's teacher. You don't have to sign up for anything, just leave your name and e-mail addy (you won't get mailed anything but they need valid e-mails for the votes to count). Thank you so VERY much! Hello everyone and welcome to another Friday Night Fab Five where I list 5 persons, places, things and/or other random stuff I am currently obsessed with. But we have a little business to attend to first! Now, on to tonight's Fab Five! Geeky awesome 60's counter culture at it's finest! Frodo Lives! My mom's friend found this in a thrift store and snagged it for me. A-W-E-S-O-M-E! That's it for this week's Fab Five! Congrats again to Myrna, thanks to everyone for your sweet comments on my blogoversary post and have a great weekend! What have been your favorites this week? mmm egg salad and the Monkees!! Cute pictures. My favorite thing this week was all the sunshine and rain free days we had!! Lovely post, Maggi, as always! And congrats to Myrna aka Daylily777! btw I can't access Myrna's lovely site (blocked by Blogger!) so could I please ask a favor? Could you please pass on a message to Myrna that I've tried several times to leave comments at her place but no luck so far! I'll keep trying as I'm really looking forward to *seeing* her again sometime! Many thanks! I'd be most grateful if you could do this! Have a really super weekend! Hey Hey with the Monkees! Oh gawd I lived for that show as a kid in the 70's! I had a mad crush on Mike Nesmith & then it was dashed one day when my Da asked me 'Why do you think Mike always wears a hat? eh because he's cold? 'Nope' eh he wants to look cool?' NOpe! 'Why then TELL me! 'because he's BALD'! on no no ...hmph I moved my focus onto Steve Austen after that! Another Cutey shot of Toot. 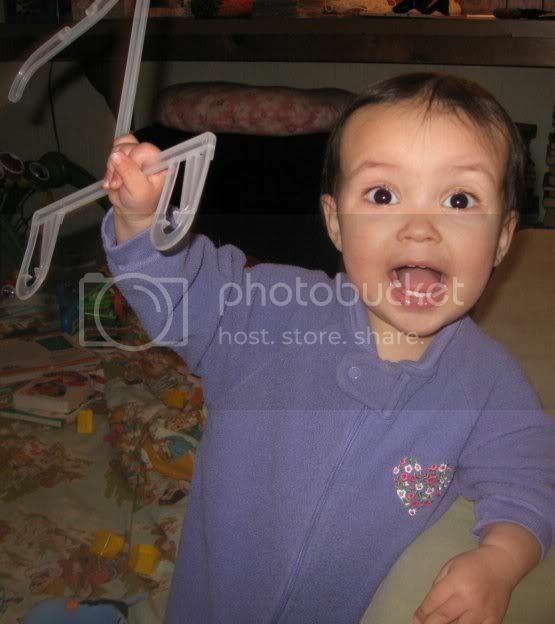 Toot and her magic hanger! I love her totes and your birthday wish is duly noted! 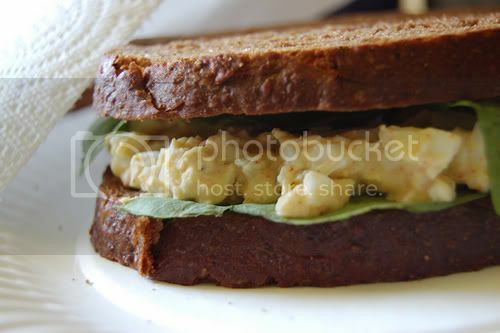 I'm hungry for an egg salad sandwich now and that Toot is so darn cute! This week I'm loving Celeb Big Brother, my girls and the having the heating in my car actually working! Woo! a friend of mine introduced the bilbo song to me a few years ago, cracks me every time I hear it now! I really think kids don't need expensive toys...my nephews love boxes...lol..
that monkees button is so cool!!! 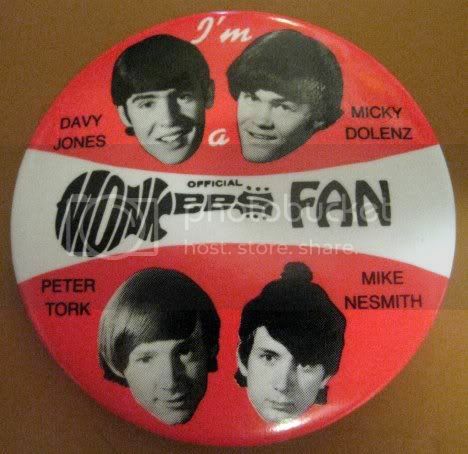 Ohhhhhhh , the covented MONKEE Button !!!! Brings back memories of youth ! LOL ! Cute photo of Toot ! She is getting so BIG !!!! Before long she will want clothes on that hanger ... and she will want to use your bag ! LOL ! What made me happy this week is 2 nights to do what I wanted as DH was away ! LOL ! 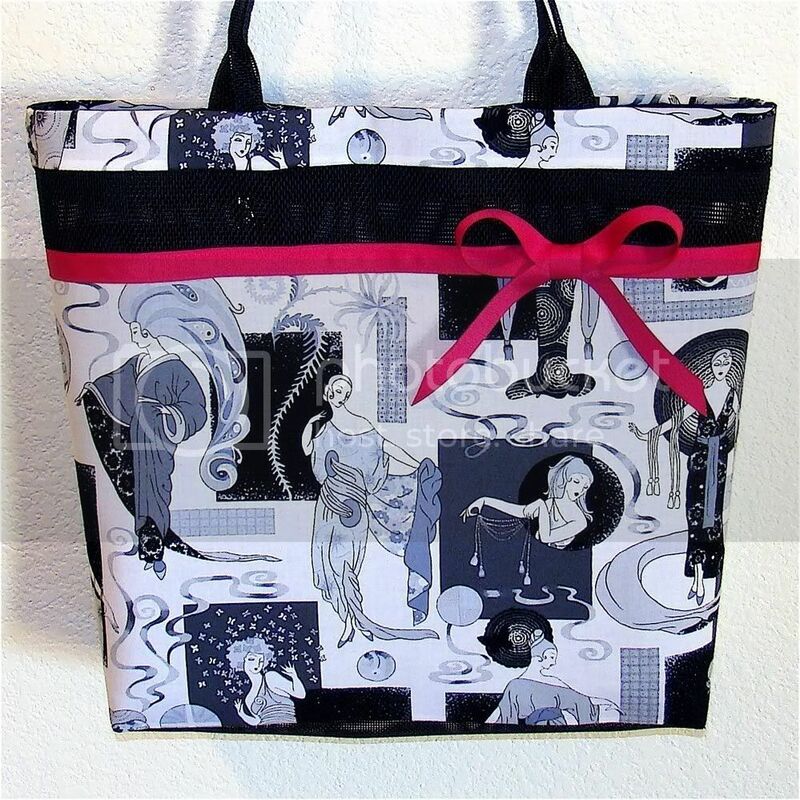 Ooooh...I love that tote! And who doesn't love a photo of Toot? Love the button....Hey Hey we're the MONKEYS!!!! That bag is awesome and where do I buy that little Toot with her hanger...I really want one of those!!! You are awesome! Thanks for adding ZAch to the famous blogg - I'll let him know Aunty Maggi is a "super-staaaar"! Gonna go make an egg salad sandwich now! PS. I hope that teacher wins, shes gaining on the competition! Toot is too adorable, as always. Your Fab 5 is terrific !